In today’s digital age a lot of hard printing has been tossed aside. However, some of my most special moments are cherished even more when they are hanging on the walls, plastered in albums, or given as gifts in frames! I’ve learned the hard way that nothing digital is set in stone. Computers crash and files are lost. Through printing your images you are not only guaranteeing the longevity of your special moments, you are giving your friends and family something tangible they can see and appreciate. I love having me images hanging on the walls and believe that it simply completes the overall look and feel of my home. I’ve made it a point to try and meet everyone’s needs when it comes to printing by offering a variety of glossy, canvas, and metal prints. Albums and personalized photo boxes are also available to put on display and flip through to relive your moments. If you have any questions or concerns about printing please feel free to contact me! Two compartment customized wooden box with 4 x 6 and USB drive included. If wood filling and jute rope are used the box can hold 50 prints, without the filling and rope the box can hold 100 prints. 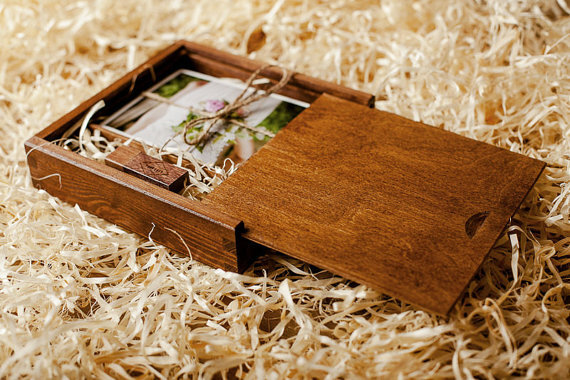 Beautifully crafted with attention to detail, these boxes are perfect to showcase your memories. With the option of a custom engraving, our boxes are the perfect gifts for family and friends. Thank you for inquiring about our print options! We will get back to you shortly.